Home|Floral Library|Lilyturfs – Liriope spp., Ophiopogon spp. Lilyturfs – Liriope spp., Ophiopogon spp. Liriope was the name of Narcissus’ mother and she was a fountain nymph. 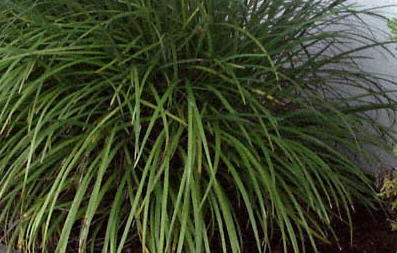 Ophiopogon is from the Greek “ophis” (a snake) and “pogon” (a beard). With over 3000 species, the lily family includes many medicinal and food species in addition to ornamental species. The most common species is L. muscari, a fairly drought-tolerant evergreen groundcover for the garden. Foliage can be green, variegated or almost black.